You have seen the museums of old, as well as creaking houses in the countryside, not to mention the massive mansions owned by the super rich – most of them happen to have a wall trophy, depicting the spoils of an African adventure, perhaps, or a trek in the highlands, where the perfect aim of a gun saw the bullet land in the right place. 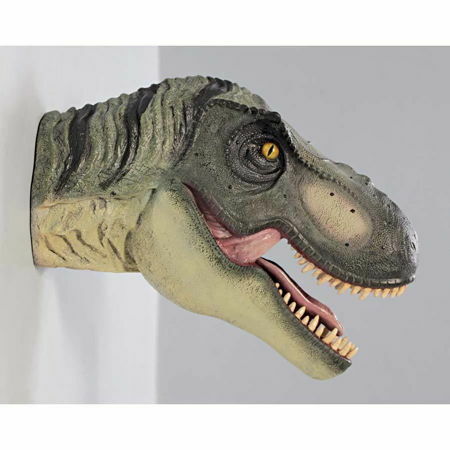 Well, you might not be able to embark on such adventures by yourself, but at least you can also do up your living room with the $99.95 Scaled Tyrannosaurus Rex Dinosaur Wall Trophy. Each purchase will come with a custom-designed, heavy duty mounting bracket that allows it to be held securely on a wall.